What do do Marianne Dashwood, Louisa Musgrove, and my handsome husband all have in common? We’ll get to that in a moment. But first, time for a brief update on my activities and progress. If you read my blog regularly (not too much of a demand on your time, since I only get around to posting about once a month! 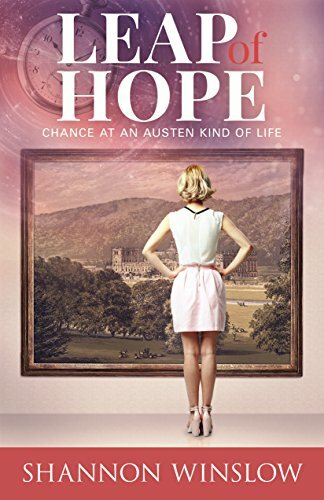 ), you might remember that I’ve had an eclectic mix of projects to work on: a play, a Northanger Abbey sequel, a story about a car, and a Jane Austen devotional. Hows that for variety? The good news is that the play (adapted from The Ladies of Rosings Park) is finished! I’ve passed it along to my friend who has connections with a Seattle playhouse. Keep your fingers crossed that it makes it onto the Taproot Theater’s schedule in the next year or two. Wouldn’t that be exciting? The not-so-good news is that the story about the car (see An Inspiring Trip to the Lake) hit a roadblock fairly early on, although I still plan to come back to it with renewed energy at some point. 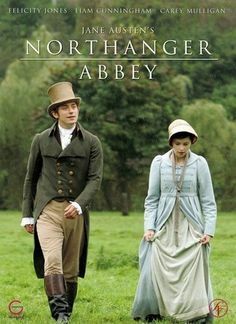 So then I turned my attention to the NA sequel, working title Murder at Northanger Abbey (see description and excerpt in Coming Attractions). Everything went great for the first 16 chapters. Then I kind of ran out of steam, which is unusual for me. Since then, I’ve been working exclusively on the devotional. It’s based on Jane Austen’s three preserved prayers, using events and people from her novels to illustrate spiritual principles (see Jane Austen’s Devotion). I’ve got 37 (of probably 50) segments done for a total of 172 pages so far. My progress has been slower than I hoped due to life and other unmanageable events. I’m sure I’m not alone in this; you probably know just what I mean. We make big plans and well-intentioned goals, only to have interruptions occur, complications arise, and the unexpected pop up to block our paths. Among other things, this has meant WAY too much time spent in hospitals by my family this past year – everything from a complicated pregnancy/premature birth to end of life issues, with a few things in between. In case I was unaware of it before (which I wasn’t), all this goes to show that we are not in control, no matter how much we like to imagine we are. We don’t know from one minute to the next if we’ll make it through the day safely. Father of Heaven! whose goodness has brought us in safety to the close of this day, dispose our hearts in fervent prayer. Making it safely through any particular day is not something we can ever take for granted. Although experience has taught us that we usually do, accidents can happen, sudden illness may occur (even to a person who seemed perfectly healthy a moment before), and random violence is always at least a remote possibility. When I wrote the lines above, little did I realize that I would an hour later be living out the truth of them as my husband was taken to the hospital with what turned out to be a mild heart attack. Thankfully, he’s going to be okay, but it came as quite a shock, especially since he was exactly what I had just described: a person who seemed perfectly healthy a moment before! In much the same way, when a group of friends decided to take one last walk on the Cobb at Lyme, they had no suspicion that one of them would barely make it back alive. And when a lovely young woman set out one day for a rather wet ramble over the grounds of the Cleveland estate, she had no idea it would result in a violent fever that would pursue her to the brink of death. A brush with disaster may indeed dispose our hearts in fervent prayer, as in today’s petition. We pray that God will rescue us from things beyond our control (then hopefully remember to pray just as fervently in thanksgiving if he does!). It also has the power to change us, temporarily or even permanently. We tend to see things more clearly afterward, to reexamine our behavior and our priorities in light of the discovery that life itself is fragile. We may be moved to repent if our own folly contributed to the crisis, just as Marianne Dashwood does. Marianne Dashwood (just like Louisa Musgrove in Persuasion) was profoundly changed by her close call. As it says in the final chapter, She was born to discover the falsehood of her own opinions, and to counteract, by her conduct, her most favourite maxims. She lived to make a far wiser choice for herself, too, in Colonel Brandon. The same also applies to the rest of us. Not all disasters are self-inflicted, of course, but many are. Have you, knowingly or unknowingly, placed yourself (or others) in jeopardy by indulging in risky behavior? Are you by bad habits endangering your health in some way? Are you storing up suffering for yourself by neglecting your marriage, your finances, or the discipline of your children? God himself is the source of all wisdom – the starting point, the essence, the sum total, the final word. Where you lack understanding, ask him and he has promised to give it generously without reproach (James1:5). May you then be wise enough to apply it. And when, in his goodness, God brings you safely to the end of another day, remember, like Jane Austen wrote, to give him fervent thanks! What do you think of this sample? Seriously, I’d appreciate some feedback. I write these devotional segments as much for myself as anybody else, and this one is no exception. Even though it was my husband who had the heart attack, it could just as easily have been me. So we’re both trying to benefit from the wake-up call and wise up, embarking on a program for better health. Wishing each of you health and wisdom as you go through the days (and hopefully many, many years) to come! I wrote this fun mash-up a couple of years ago for our March Madness theme on Austen Variations, but I haven’t shared it here before. This is what happened when I collected a bunch of Jane Austen’s villains in one place at the same time. What could possibly go wrong? Everybody who is anybody was there. Wickham, of course, and Willoughby. General Tilney and his eldest son, the captain, showing off their military finery. The Crawfords, both brother and sister, Mrs. Norris, and Lucy Steele. All the A-listers and even some of the more minor players. They only awaited their chairman to get things started. Finally Mr. Collins, who had vociferously volunteered his services to facilitate the meeting, rushed in and loudly cleared his throat to get their attention. All eyes turned, and yet they saw only a vacant portal. Perhaps it was the slight bow he added to his introduction or the extra flourish of his arm gesture. In any case, this time the great lady did appear as bidden. Light applause broke out but was quickly silenced by Lady Catherine’s cutting glare. “This is not a celebration,” she said sternly upon claiming the podium. “We are not here for our mutual entertainment. We have serious work ahead.” She allowed the weight of this pronouncement to settle upon her listeners as she, one by one, took in the faces before her. “Is everyone present?” she asked Mr. Collins. “Good. I only wish to say these things once.” She then returned her attention to the small conclave before her. “Each of you has had opportunity to review your latest assignments, and I trust you are all ready to carry them out to the letter… at risk of life and limb if necessary.” Hearing no immediate contradiction to her statement – it was most definitely not a question, after all – she went on. “Hear, hear!” shouted Mrs. Norris, spontaneously rising to her feet. Some of the others joined in her enthusiasm for Lady Catherine’s inspiring speech, but not General Tilney. No, he wore a look of unmistakable hostility. This, it may be supposed, can be attributed to his lingering disgust over his failure to depose the current speaker in the previous election. Thus motivated, he challenged her with a question. “Hear, hear!” Mrs. Norris shouted once again, drawing looks of annoyance from more than one quarter. Her ladyship’s private reverie was unpleasantly cut short by a noisy uprising. It started small, with a protest from Lucy Steele, directed at no one in particular. “I agree with my brother,” declared Mary Crawford. Lucy Steele gave Henry an appreciative nod and a coy smile. Before Lady Catherine could address this or any of the previous remarks, Willoughby added his voice to the growing melee. “Silence,” shrieked Lady Catherine before slumping down in a near faint. 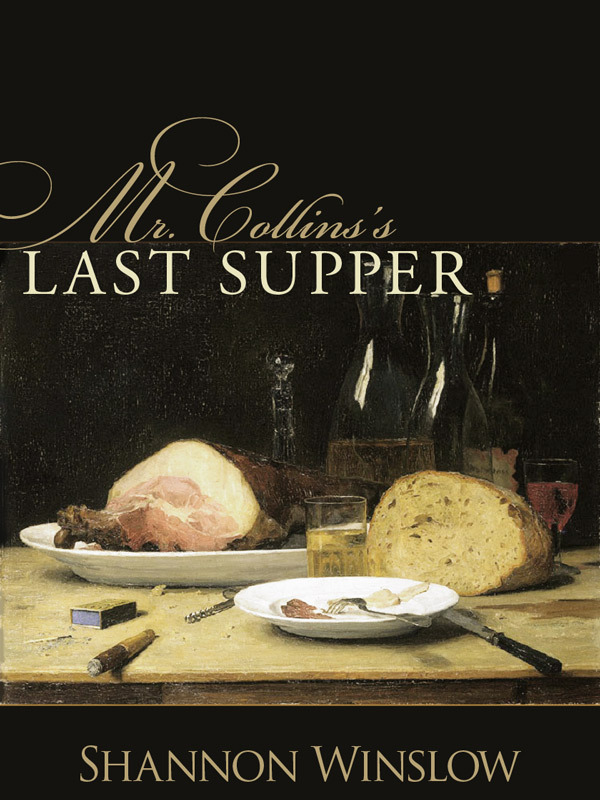 Mr. Collins, completely beside himself by now, ran from member to member begging for a return to order. Not surprisingly, he and his pleas went unheeded. General Tilney leant back in his chair, smiling serenely at the scene before him and no doubt anticipating a more favorable outcome in the next election. Nearly everybody else had risen by this time, shouting and gesturing various insults at various parties, present or not. 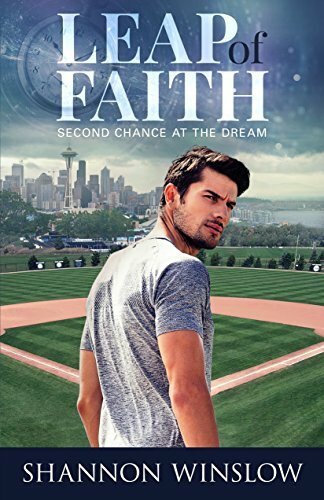 In the chaos, no one even noticed when Henry Crawford and Lucy Steele slipped out the back door together. What can be said about the outcome of this council meeting except that it was a total loss? As for the success or failure of the members’ subsequent missions? The answers await your discovery between the pages of books. This was a very popular piece when it aired at Austen Variations. But people were quick to point out that I had overlooked some notorious “baddies.” So I will probably rewrite it later, expanding it to include a few more. Did I cover all your favorites, or do you want to put in a word for some deserving villain for the second edition? 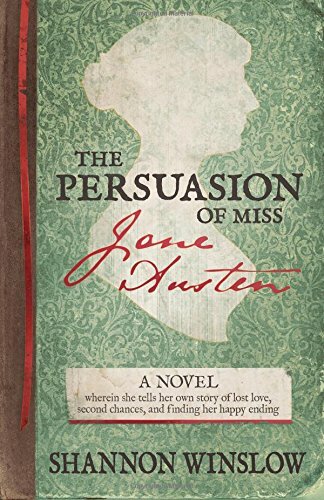 PS – In case you haven’t heard, I’ve started posting chapters of The Persuasion of Miss Jane Austen every Friday at Austen Variations. So you can now read it for free! To get started, follow this link to part 1. Confession. I just finished reading one of my own books: Return to Longbourn… again. I have talked to other authors who say that once their books are finished and published, they never look at them again. The reasons they give? I’ve heard two: either they are sick to death of the book after working on it so long, or they’re afraid they’ll find flaws that it’s too late to correct, which would torment them. I feel completely different. Yes, it bugs me when I discover a typo in one of my books, one that managed to somehow elude all the beta reads and edits meant to catch that kind of thing. But my books and the people in them are like old friends to me. Friends aren’t perfect either, and yet that doesn’t keep me from wanting them to visit from time to time. In this case, it had been a few years since I had read Return to Longbourn – long enough that I’d forgotten some things which I had fun rediscovering along the way. Since I was reading on my Kindle, I periodically came across an underlined “popular highlight.” Are you familiar with this feature? It shows which lines in a book have been highlighted most by readers. It’s designed to be of interest to readers, but it’s tremendous fun for authors too. It’s so interesting (and gratifying) to see which things I’ve written have been marked, indicating that people especially loved or valued them. It is a truth universally acknowledged that every mortal being must at some point face the certainty of death and the day of reckoning. Marriage: how much of happiness or torment seemed bound up in that one, irrevocable act. No quantity of worry or tears would alter that which could not be changed. True right and wrong were still what they had always been, of course; only her sympathy for those who sometimes found themselves over the line had changed. Her former prejudices had been stripped away, and she had more understanding of the powerful forces that pushed and pulled at the vulnerable hearts of men. She had always been so severe on people who were not perfect and so unwilling to show any sign of frailty herself. Now, however, she rejoiced in her own weaknesses so flagrantly displayed over the last year, because it made accepting Mr. _____’s past failings not only possible but compulsory. To admit to a joy was to admit to vulnerability, and the voice of caution in her head always protested loudly against taking the smallest risk of that kind. This time, however, she was glad she had found the courage to ignore it. Yes, Mary had a lot to learn. And by the end of the book she has come a long way. In fact, you might say the overlooked ugly duckling turned out to be a swan after all! 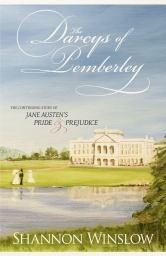 I enjoyed visiting with my old friends again in Return to Longbourn – the Bennets, the Bingleys, the Darcys from Pride and Prejudice, as well as several more characters of my own invention – and remembering what a wild ride it was to write this book, with all the unplanned twists and turns the story ended up taking along the way (see the RTL launch post). What’s your policy about re-reading books? If you read on Kindle, do you ever use the Highlighting feature? Do you have a favorite quote amongst the highlights from RTL given here, or a memorable bit of Jane Austen wisdom that has stuck with you? Since everybody seemed to appreciate The Specter of Mr. Collins, which I posted here a couple of months ago, I thought today I’d share another of my P&P ‘missing scenes.’ Most of the ones I’ve written are included in a group publication (Pride & Prejudice: Behind the Scenes), but I hope to compile them all as part of my own short story volume eventually! I have a hard time beginning to write something out of nothing, but if I have a question or some other jumping-off point to spark my imagination, I’m off and running, and probably having the time of my life! The following verse (Pride and Prejudice, chapter 42) inspired the scene below – Elizabeth dreads the possibility of running into Darcy when she goes to Derbyshire with her Aunt and Uncle Gardiner. Hope you enjoy it! Derbyshire. That one word brought it all flooding back to my mind, all that I had so studiously endeavored to put from it. My heart had been set on seeing The Lakes, but my aunt’s letter two weeks ago not only put an end to that thrilling expectation, but replaced it with something like apprehension at the thought of diverting to Derbyshire instead. Even now, I am tormented by the idea. I cannot think of Derbyshire without unhappy associations rising up in my mind. No doubt it is grand country, full of beauties that are not to be missed. 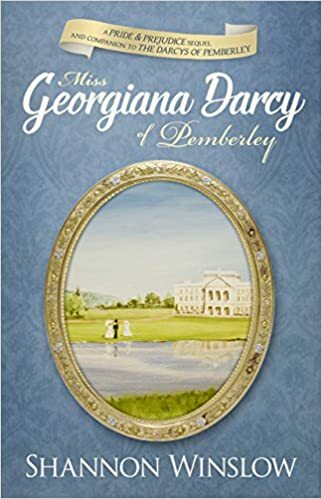 But to me it can only ever mean one thing; I will be entering the county wherein resides the owner of Pemberley, a man I had fervently hoped never to meet with again in the whole course of my life. And I know he must feel the same. For proof of it, I have only to refer again to his letter. Why I have kept it, I cannot rightly say. It is not normally in my nature to dwell on unpleasantness. But in this case, I make an exception. My culpability in the debacle with Mr. Darcy is something I dare not forget entirely, lest I should ever behave so badly again. How despicably I acted! How dreadfully I misjudged him! His written words at last taught me to properly know myself, and I have resolved to revisit them occasionally as a sort of penance. Pulling the letter from its hiding place, I peruse its pages once more. The truth of his explanations concerning the two charges I so vehemently laid at his door, I have long since ceased to question. I need not read those sections again; I know them by heart. 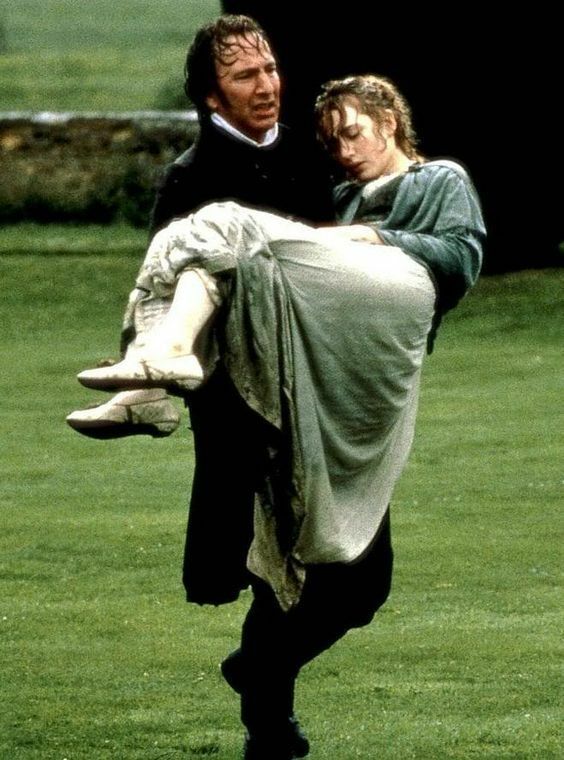 Mr. Darcy’s interference with Jane and Mr. Bingley is something I continue to lament most grievously for my sister’s sake, although I can no longer bring myself to hate him for it. There was no malice in the case, only an error in judgment – a failing to which I proved similarly susceptible in the other matter. When I think what he and his sister suffered at the hands of Mr. Wickham, I believe I better understand some portion of his actions in Hertfordshire, some grounds for his distrustful reserve. 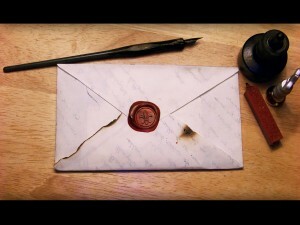 Although his careful explanations are most material in exonerating his character, it is always the beginning and the end of Mr. Darcy’s letter that cut me to the quick. That is where my conscience seeks to punish me, for that is where the man himself and how I have injured him are most clearly revealed. …If your abhorrence of me should make my assertions valueless, you cannot be prevented by the same cause from confiding in my cousin; and that there may be the possibility of consulting him, I shall endeavour to find some opportunity of putting this letter in your hands in the course of the morning. I will only add, God bless you. Oh, how these words have tortured me! If I still believed him to be a man without feeling, I could laugh at my own blindness well enough. Yet here is evidence that he has a heart after all, one capable of caring deeply… and being just as deeply wounded. Even should he one day find the charity to forgive how I have insulted him, I shall never forgive myself. But neither can I be content to wallow forever in self recriminations. I was not formed for unhappiness. Luckily for Elizabeth, she doesn’t get her wish. As you know, she finds something much better than she expects in Derbyshire! Christmas is coming! Notice that I didn’t say Christmas is here, because technically this is Advent – a time of waiting and preparation in anticipation of the day of Jesus’ birth. I know that on the retail calendar, the Christmas season now begins immediately after Halloween, but traditionally (and on the church calendar) it begins on December 25th and runs for twelve days – through January 5th (Twelfth Night). By the way, in Jane Austen’s time, that’s when gifts were exchanged, not on Christmas Day itself. Why? Because Twelfth Night marks the Feast of Epiphany, which celebrates the arrival of the kings (or magi), bringing their gifts of gold, frankincense, and myrrh to the Christ child. So how was Christmas celebrated in Regency England? You can scratch the excess hype and frenzy of today. But like now, it was a time to gather with friends and family, a time for music and singing, a time to feast and to share some of their bounty with the less fortunate. The particulars may have changed – the specific foods enjoyed, the songs sung, etc. – but the basics are still recognizable to us. Sidebar: Do you suppose Jane Austen imagined that the Palmers’ friends (mentioned here in S&S) to be the same Westons we know from Emma? Christmas Day itself began for most people with a walk to church, which could be a very chilly affair, not only outside but in, since there often was no means of heating the building. The Regency home would have been specially decorated with candles, holly, ivy, and other greens, but no Christmas tree. That tradition wasn’t fully adopted in England until Victorian times, when it was popularized by Prince Albert, who brought the custom with him from his native country of Germany. This “no Christmas tree” policy was used to great effect as a running joke in a play I saw recently – Miss Bennet: Christmas at Pemberley. On a whim, Elizabeth Bennet Darcy installed a Christmas tree at Pemberley one year. Each person that entered the room after that, including Darcy himself, suffered a mild shock upon seeing it, remarking with some distaste (or even horror), “You have a tree… inside,” or similar words. Elizabeth would each time have to, somewhat apologetically, explain it was a German tradition that she thought charming. From this passage, I inferred that Pemberley would be the Christmas gathering place thereafter. Sounds like the perfect setting to spend a couple of week – perhaps snow falling outside, good friends and warm hospitality within. Since I doubt that I’ll be able to wrangle an actual invitation, my imagination will have to do. So I wrote about it in Return to Longbourn. (later)… Gazing out into the night, Mary could just make out the faded gray of the lawn below, guarded by a few sentinel trees, as it fell away toward the inky blackness of the lake. The filtered moonlight’s poor illumination rendered every familiar article in ghostly guise, or was it something else that made it all look so peculiarly eerie? Ah, it had begun to snow, she then realized. For the moment, it was only a sugar dusting, but doubtless by daybreak everything would be wearing a full coat of winter white. “It is snowing,” she informed the others. Kitty, who had always been particularly enamored of snow, came bounding excitedly to the window. A few of the others followed more sedately. “How thrilled the children will be when they wake in the morning!” remarked Jane. No chance of snow here today in the Seattle area. We were down in the 20’s a week or so ago, but today it was almost balmy, reaching 60 degrees Fahrenheit. Nevertheless, the Christmas spirit has begun to overtake me. And not a moment too soon. I still have cards to get out (yes, I am one of the few who still sends them), decorating to do, a little shopping and wrapping too. But fortunately I have plenty of time, right? After all, Christmas doesn’t start until the 25th! This passage from Pride and Prejudice (chapter 26) talks about how Elizabeth’s relationship with Charlotte changed after Charlotte married Mr. Collins. It was the inspiration for a “missing scene” I wrote a few years ago for another blog. When I ran across it again today, it made me chuckle, so I decided to share it with you here. Hope you enjoy it! The wedding took place; the bride and bridegroom set off for Kent from the church door, and every body had as much to say or to hear on the subject as usual. Elizabeth soon heard from her friend; and their correspondence was as regular and frequent as it had ever been; that is should be equally unreserved was impossible. Elizabeth could never address her without feeling that all the comfort of intimacy was over, and, though determined not to slacken as a correspondent, it was for the sake of what had been, rather than what was. When Elizabeth had said goodbye to the former Miss Lucas at the church door, it had been with a heavy heart. The previous years of unreserved friendship, of easy intimacy, were over. The fact that one was now married and the other not would have formed somewhat of a barrier in any case. But the manner of Charlotte’s marrying – whom she had accepted and why – was an obstacle Elizabeth feared could never be overcome. Henceforth, the specter of Mr. Collins would always divide them. Nevertheless, out of respect for what had been, she was determined to preserve at least a remnant of their past friendship. Charlotte had asked her to visit Hunsford in March, and Elizabeth had agreed, though she foresaw little pleasure in the scheme. In the meantime, there would be letters exchanged. I know you will have been wondering how we are getting on here in Kent. So I will jot down a few lines for you, while I have a half-hour’s leisure, to assure you that Mr. Collins and I are very well. We experienced no difficulty with our travel from Hertfordshire after the wedding, arriving in good time. And my impressions upon first setting eyes on Hunsford were most agreeable as well. The parsonage, while not grand by any means, is as neat and tidy as any reasonable person could well wish for. I already feel quite at home and have been allowed to claim a pretty little parlor at the back of the house for my own particular use. I find the furnishings throughout exactly suited for a clergyman’s family. This should come as no surprise since Lady Catherine has done it all according to her own discriminating taste and judgment, as she informed me herself when she condescended to visit me the very day after my arrival. Was not that considerate? I anticipate that she will be just as generous with these civil attentions as my husband has always given her the credit of. As for more about our distinguished neighbor, her daughter, and the splendors of Rosings Park, I must defer to another occasion the detailed descriptions Mr. Collins has encouraged me to make to you. I simply have not time or room on the page to do them justice now. In any case, you will see all these things for yourself when you come in March. For the present, be satisfied to know that everything here – house, furniture, gardens, neighborhood, etc. – is to my liking, and I am well satisfied with my situation. Please write soon, Lizzy. I long to hear all the news from Meryton – all your little comings, goings, and doings – and none of my own family has yet proved to be a very satisfactory correspondent. P.S. – Mr. Collins sends his greetings to you and to your family as well. He asks that you would be so kind as to apologize to your father on his behalf, for his not having written more promptly himself. 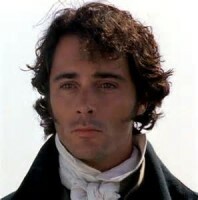 This is a circumstance he promises to remedy very soon, at which time he will beg Mr. Bennet’s pardon in proper form. Oh, my. Well satisfied. It was precisely what she should have expected to hear from her friend – all cheerful practicality and no complaints. Elizabeth could accept that much. 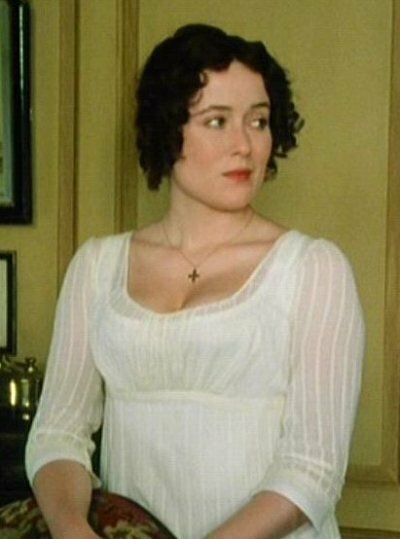 She could even respect such a statement, whereas she would never have believed a claim of Charlotte’s being deliriously happy with Mr. Collins. Impossible! Very well. Elizabeth supposed she must be satisfied too. She could not quite understand it, but she owed it to Charlotte to be glad for her, to be glad she could be content with the life she had chosen for herself. There was clearly nothing else to be done. Well, there was one more thing. Elizabeth drew two sheets of paper from the desk and took up her pen to write an answer. Is this the way you imagine these events playing out? No doubt you recognize these exotic destinations – Venice, obviously, and Paris, one of the great pyramids of Egypt, and the New York City skyline. And that’s only a small sample! Are you jealous of my world tour? Or are you getting a bit suspicious? Okay, I confess; the idea of an extended world tour, lovely as it sounds, is pure fiction. In truth, I never left the US, and all these pictures were taken in one place: Las Vegas. I hadn’t been to Vegas before, and I probably won’t go back again – not really my kind of town. But we sure saw and did some cool stuff while we were there. We visited the neon lights museum, viewed the largest gold nugget in the world, experienced the amazing Fremont Street overhead canopy light show, ate at some interesting restaurants (some outstanding, some not so much), and attended an awesome concert (Queen), which was the reason we made the spontaneous decision to book this trip in the first place. There’s plenty to do for a few days in Las Vegas, even if you don’t gamble. But in case you’re wondering how I fared at the casinos, I’m happy to report that I managed to break even. Want to know my secret? If you never place a bet, you can’t lose any money! Actually, we did see a lot of churches in the area – quickie wedding chapels, that is. But, no, I would not point to Las Vegas as the example of our county’s best morality! What brought Jane Austen most to mind on our trip, however, was the day we rented a car and drove down to Lake Havasu City, Arizona, to see the London bridge moved and reassembled there in 1971. It was about 108 degrees that afternoon, but I was determined to leave the comfort of air conditioning long enough to walk across the bridge that once spanned the Thames. I even had in mind that perhaps Austen herself might have crossed the same bridge on one of her visits to London. Alas, this could not be true, I learned, since the bridge wasn’t constructed until several years after her death. Still it was well worth seeing. In any case, I’m glad we made the trip to Las Vegas and beyond, but I’m also glad to be home again. Next, I’m going to take courage and submit my play for consideration. I’ll let you know how that goes – if and when it will be presented. Then it’s back to work to see if I can make some more progress on my other three writing projects. Where does the time go? I hope you had some big adventures and happy travels this year too.